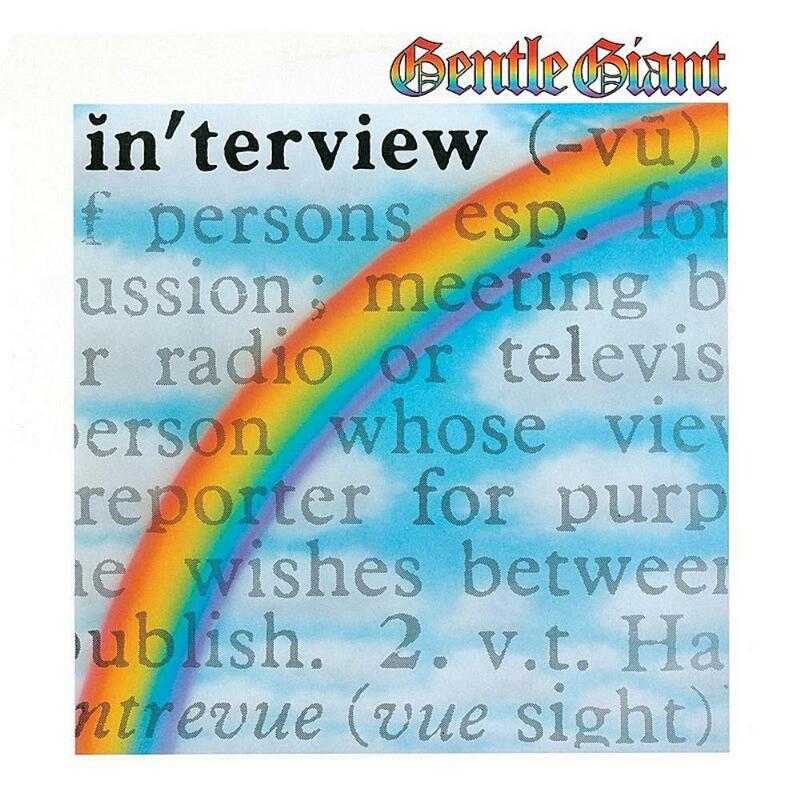 It may seem a superfluous endeavor to review an album that was released over 40 years ago but Gentle Giant's 1976 album Interview is worth a brief retrospective glance over. At the time progressive rock itself was in question as a viable commercial prospect and Gentle Giant were at the peak of their popularity. Stylistically they had pretty much exhausted the possibilities of their singular "everything but the kitchen sink" approach to composing and playing music on their previous "Free Hand" album. In recognition of this quagmire they came up with this clever psuedo-concept album that commented on how distant the music industry was from artists and their art in the form of snippets of a mock interview inserted between tracks with noted rock journalist Phil Sutcliffe playing along. Although it includes all the idiosyncratic elements that made their music so wondrous Interview may elicit some "you've got to be kidding me" reactions for those not acquainted with some of the light-minded and whimsical musical attitudes that comprised Gentle Giant's otherwise less than straightforward technically challenging music. Interview occupies an interesting place in the epicenter of the career of this unique band. Progressive rock was in it's death throws and devotees of the Gentle Giant would notice the toned down instrumentation and more "modern" sound, retaining it's usual adventurous spirit on tracks such as the reggae infected "Give it Back" and the sometimes bluesy "Timing". The album also spawned one of the best loved Gentle Giant tracks, "I Lost My Head" as well as the discordant "Design", another fan favourite that is littered with all kinds of musical outlandishness. So Gentle Giant was still held in high regard by their fans and "Interview" even did well with the press in spite of the climate within the music industry towards outdated progressive rock "dinosaur" bands. Gentle Giant was even an oddity within the progressive rock realm of the early seventies but attracted a curious dedicated following so it's difficult to find a yardstick with which to measure them. While Interview could have suffered under the shadow of the monumental "Free Hand".during a busy period for the band, keyboardist Kerry Minnear has insisted on more than one occasion that the band fared well under pressure and Interview is a testament to this observation. After the release of the album in the spring of 1976 further albums from Gentle Giant became somewhat more subdued and less audacious but Interview will always stand as a critical moment at the pinnacle of a remarkable career.